Keeping its view on the upgraded pollution norms, leading Indian Commercial Vehicle Maker and Hinduja group Flagship Company Ashok Leyland group is lining up Rs. 400 Crore investment in the next 2 years for new product development in compliance with the Euro-VI standards. The company is also focusing on the left hand driving trucks targeting the export market and electric vehicles, said Nitin Seth, President, (light Commercial Vehicles), Ashok Leyland. Excerpts of his chat with Biznextindia.com. BizNext: The entire Automobile sector is on the cusp of a change in terms of technology and Pollution control. The government has already announced introduction of BS VI fuels in the next 2 years, manadatory electric vehicles by 2030. 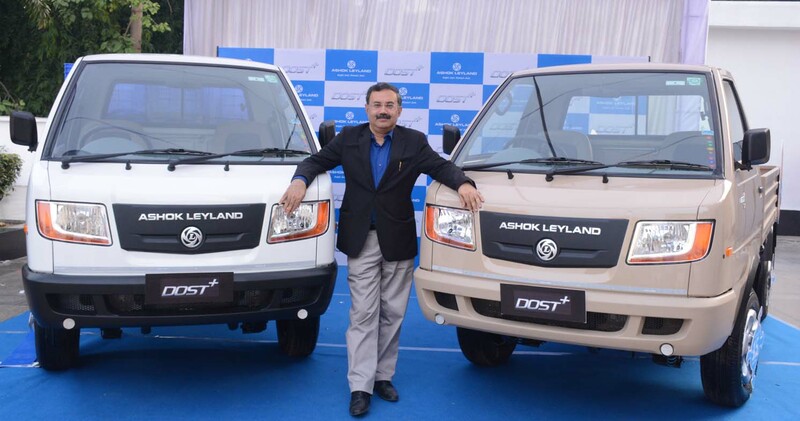 How Ashok Leyland is preparing for this? Nitin: We’ll be investing about Rs.400 Crore in new product development, which are in compliance with the new norms. Currently our vehicles are Euro-IV compliance and we are working on to upgrade our models to Euro-VI by 2020. We are also focusing on the left hand driving trucks targeting the export market and electric vehicles. BizNext : Your company is investing heavily on the new product development as well as other players in the industry. Will the industry pass this cost to the customers ? Nitin : As the industry is investing heavily to meet the upgraded norms in technology, some part of the cost will definitely go to the customers. So in my view the prices may go up by 10-15 per cent after roll out of Euro-VI compliant vehicles. The technology for shift to Euro-VI vehicles is expensive. Also, manufacturers would see some dip in volumes for Euro-VI vehicles. Usually, the transition from Euro-IV to Euro-VI stage takes 10 years but in India, it is being done in only three years. BizNext : How the Automobile industry sees the roll out of GST ? Nitin : The automobile industry had no opposition to GST (Goods & Services Tax) since the effective tax rate is the same as in the earlier regime. The industry did not protest as GST is very neutral and progressive. For example, to bring trucks carrying materials it used to take 8-9 days, but after roll out of GST there are no Octrai Gates, so it now takes 6-7 days now-a-days. Biznext : What are the Automobile industry’s expectations from the upcoming budget? The Industry is not demanding any reduction in taxes, as the current taxation is fine. But our only demand before the government is that it should be consistence in its policy and not to change the taxes abruptly.